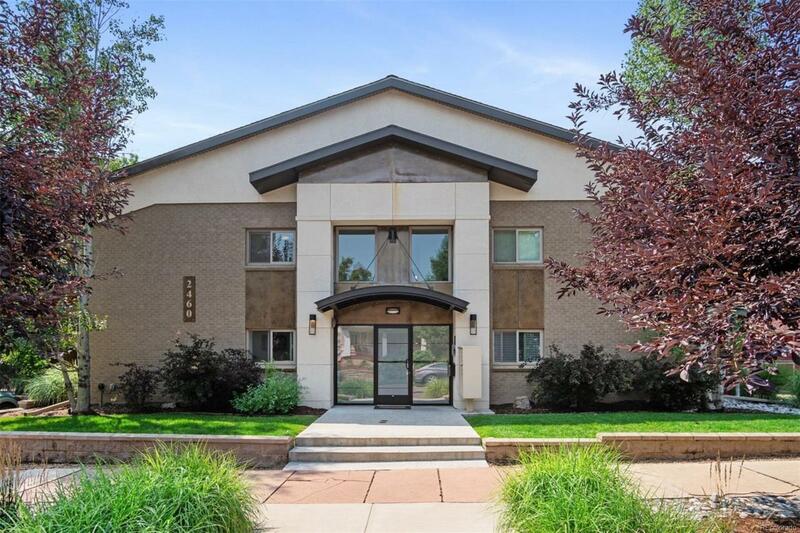 Located in the Scottish Village section of Denver's dynamic Highland neighborhood, Carlyle Flats underwent a complete renovation within the past 7 years, resulting in units of unparalleled quality. #107 is a highly desirable corner unit overflowing with natural light. Upon entry you'll be greeted by gorgeous hardwood floors and beautiful finishes throughout. The open concept flows from the kitchen into the eating area and living room. The main bedroom has ample closet space, the second room is flexible for guests, a home office, or nursery and the full bathroom is nicely appointed. The living room opens to a large, private patio perfect for entertaining and for larger gatherings there is a common-area patio with community grill. The unit also has a private storage closet and an over-sized parking spot in a secured lot. Incredible walkability just blocks to Linger, Highland Tap, Avanti and more, or a quick Uber or stroll across the Highland pedestrian bridge into all of LoDo.